This book presumes that the legal system of many Islamic countries including the Islamic Republic of Iran, lacks a clear view on tourism and tourists’ rights. 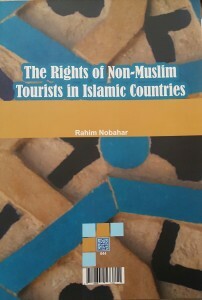 To tackle this problem, this book seeks to clarify the legal status of non-Muslim tourists from an Islamic point of view. While mentioning the shortcomings of traditional fiqhi view on tourism the book is in search of outlining a system of rights and responsibilities that supports tourist on one hand against all kinds of threats and, on the other hand, emphasizes tourists’ moral and cultural responsibilities. Looking for a Sustainable and sustainable tourism the book also mentions some problems of Iranian legal system and suggests some solutions to overcome those problems. This book is published in Persian by Shahid Beheshti University in March 2017.